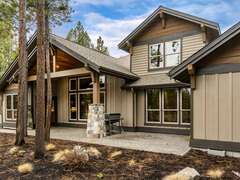 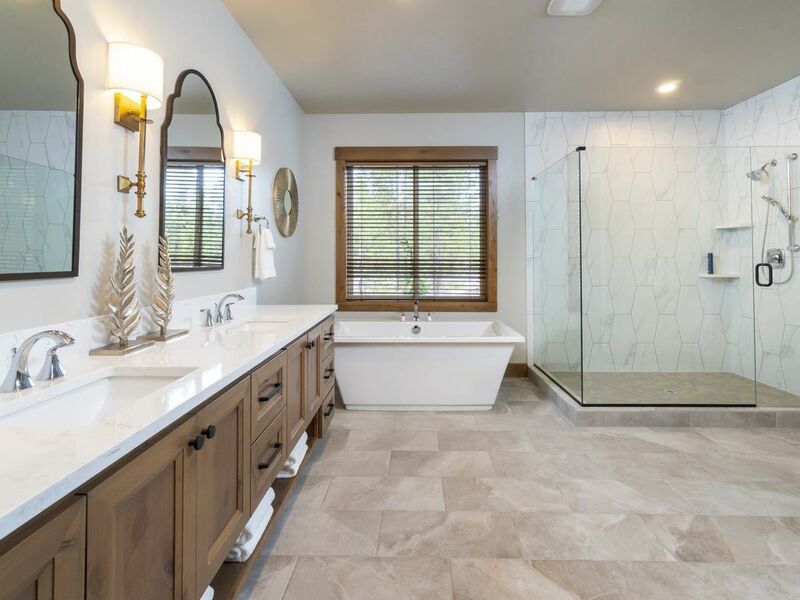 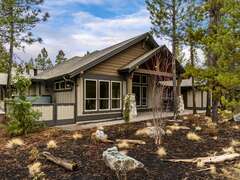 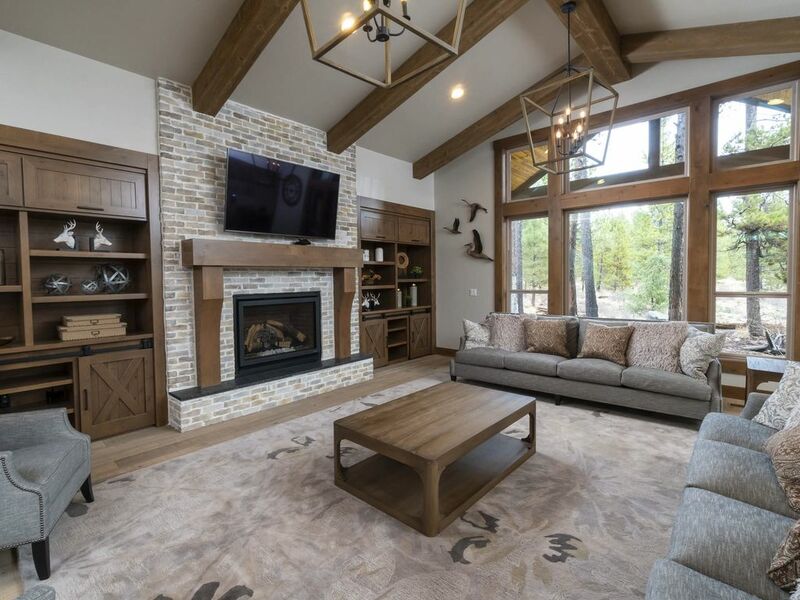 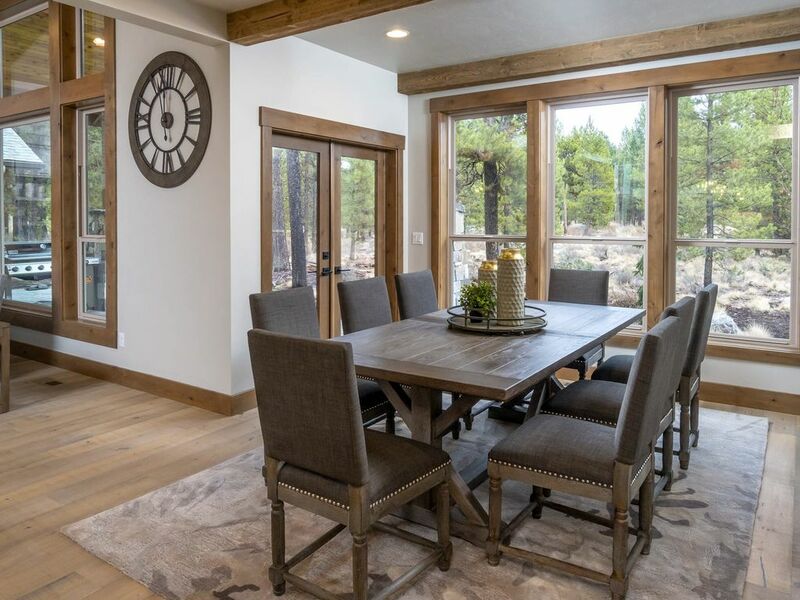 Brand new house is Located in the Caldera Springs just minutes from Sunriver Resort this 4900 sqft home offers all the amenities for your family to relax, rejuvenate and reconnect. 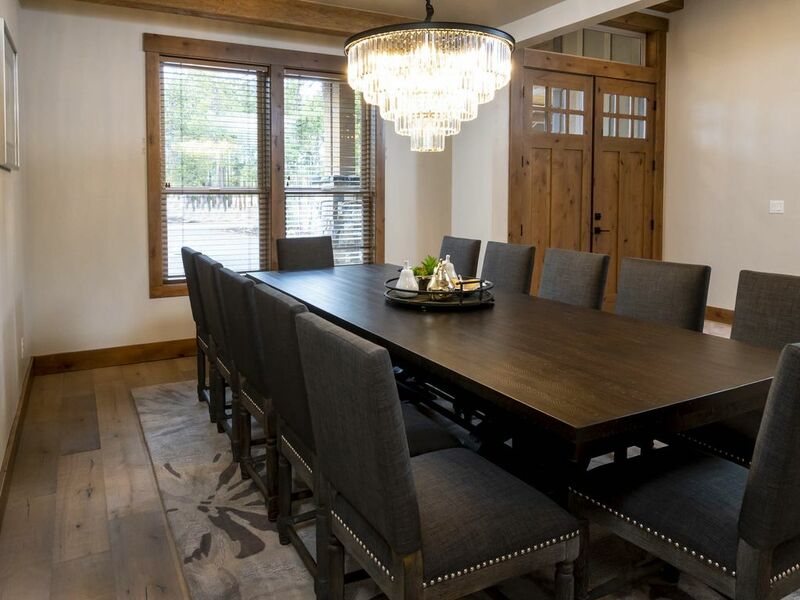 Luxury and exquisite craftsmanship along with designer furnishings and ample gathering spaces make this the perfect home for large families, reunions, retreats and special get-a-ways. 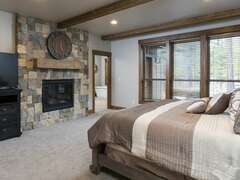 With 6 Master Suites with king beds and a large Bunk/Bonus room. This house sleeps 16 comfortably. 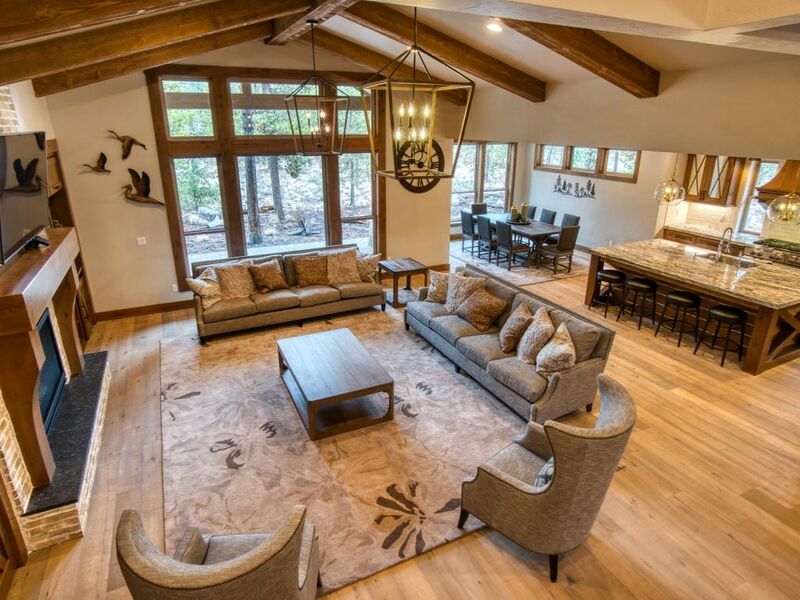 The main level has a large greatroom with vaulted ceilings and beam accents. Two full size sofas and accent chairs provide adequate seating space for evening gatherings around the fireplace or watching TV on the 65 inch screen. 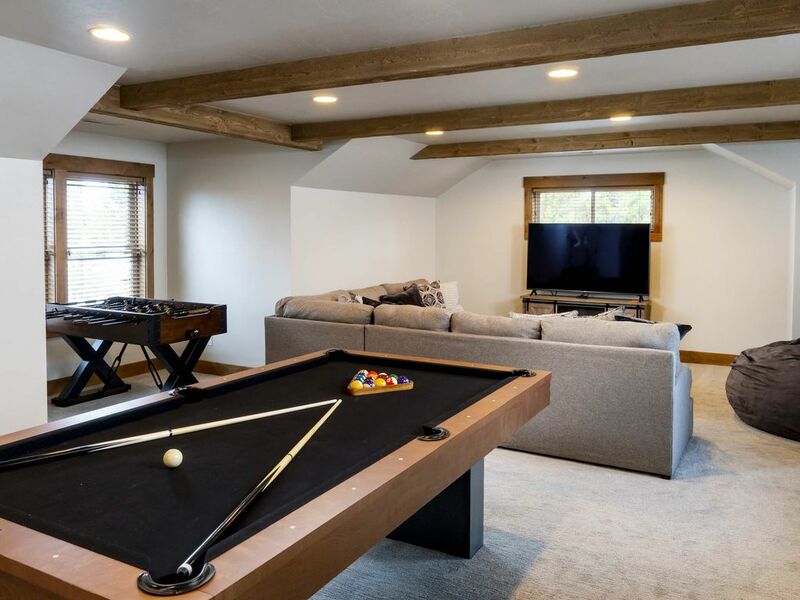 The built-in cabinets hold games for all ages to enjoy. 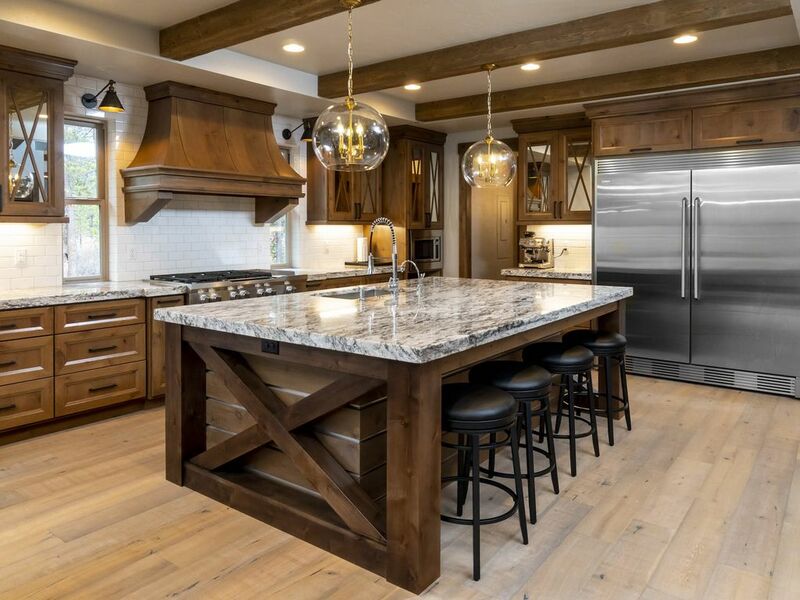 The gourmet kitchen is a chefs delight. 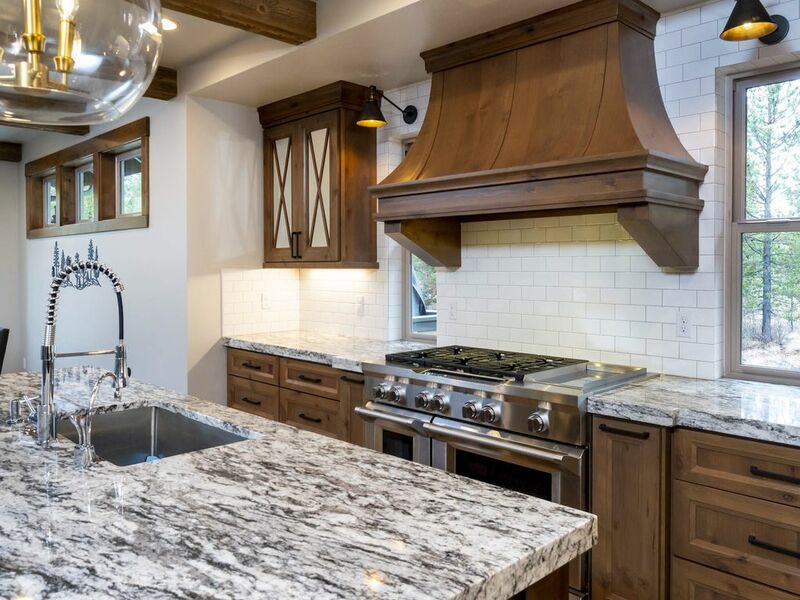 With a 48 6 burner cook-top and side griddle meals are easy and quick no matter the size of your crowd. Double ovens, microwave and 2 dishwashers, a large kitchen island and prep sink along with a full stocked kitchen, dishes, pots, pan, utensils, ect. The large dining areas are split between 2 tables and have seating for 20 plus additional island seating for 4. 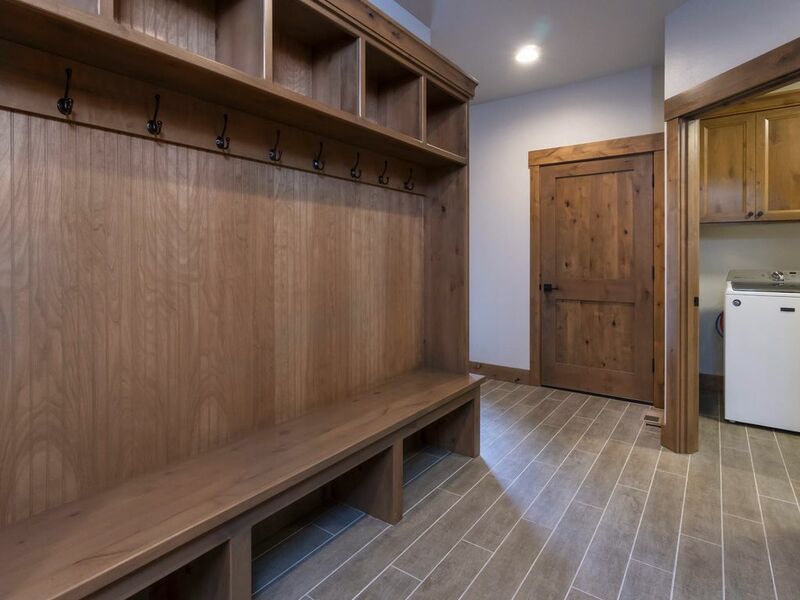 The laundry/mud room area includes a bench for shoe storage and coat hooks, a full wall of built-in locker style storage to keep all clutter picked up and organized. The laundry room has 2 sets of washers and dryers along with cabinets stocked with towels, toilet paper. 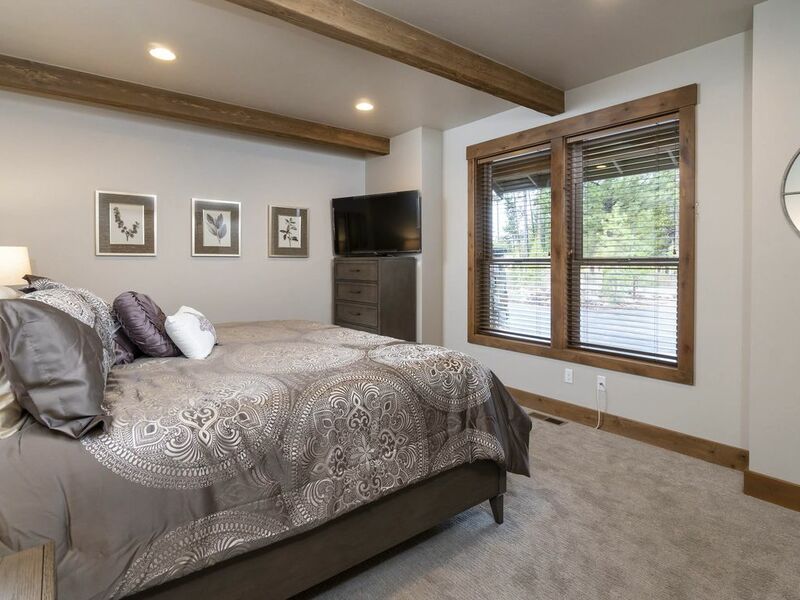 The main level has 4 of the master suites. 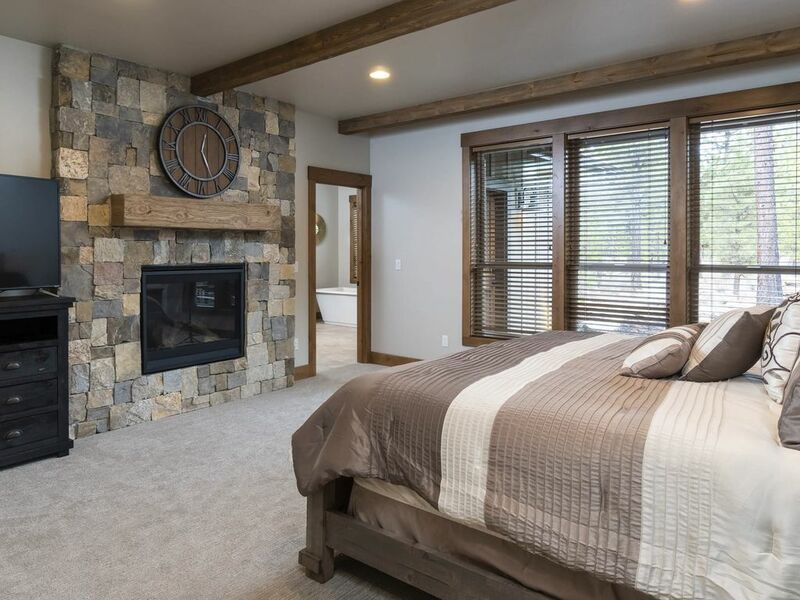 The first Master Suite (1) is beautifully furnished stone fireplace, large windows, With a King size bed and elegant bedding, and dresser with TV. 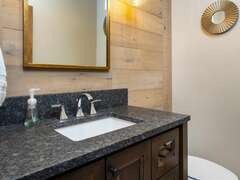 The adjoining bathroom has double sinks, soaking tub and a tile shower and a door to access the patio to the hot tub area. 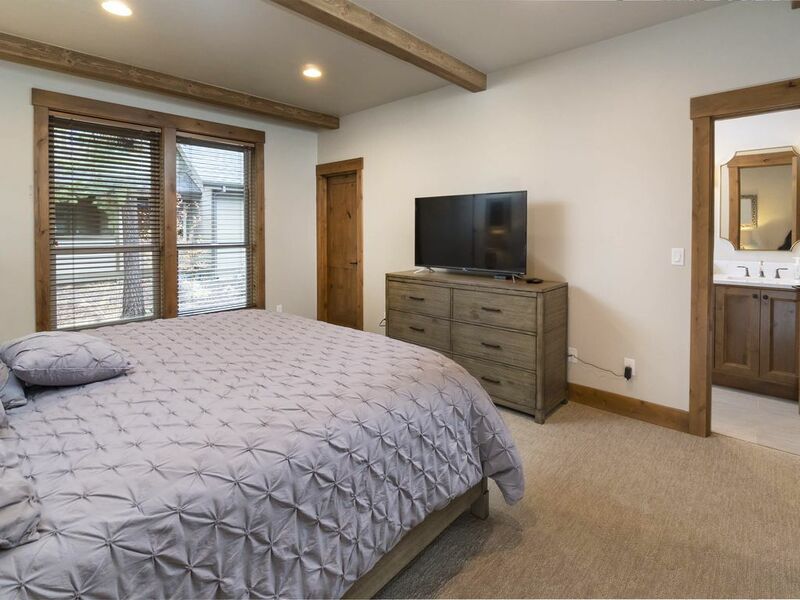 The second Master Suite (2) has a beautiful King Bed and bedding with dresser and TV, and a private bathroom with a tiled shower stall. The third Master Suite (3) has a King Bed and beautiful bedding, dresser and TV and private bath with shower stall. 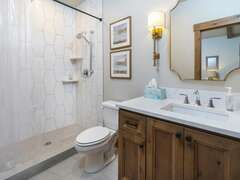 The forth Master Suite (4) has a beautiful King Bed and bedding, TV and a private bathroom with a tiled shower stall. 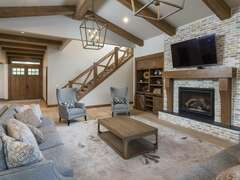 The upper level has 2 more Master Suites (5)(6). 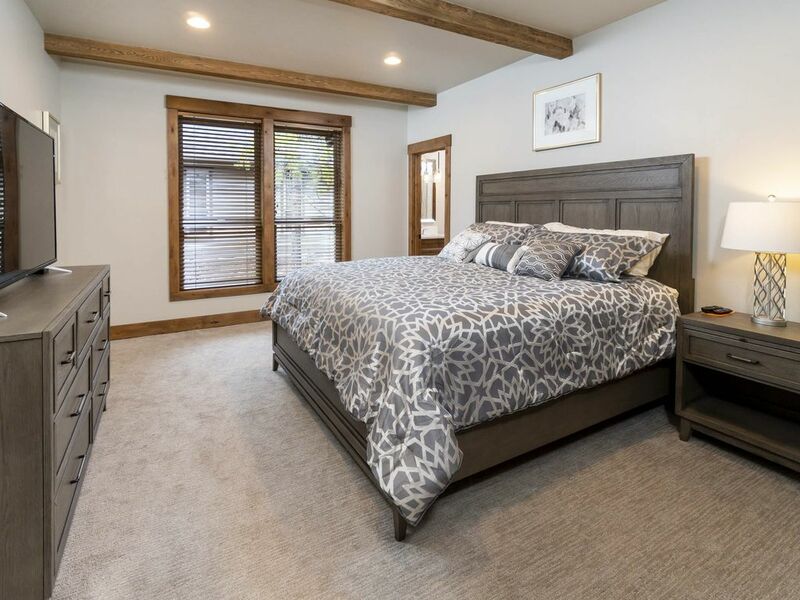 Each room has beautiful designer furniture, king sized beds, nightstands and dressers and TV. 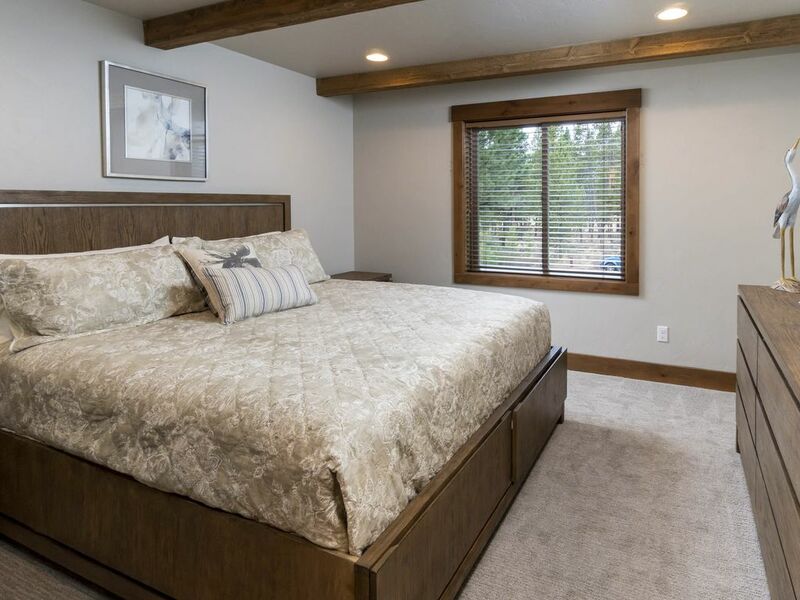 Rooms have comfortable bedding and are accessorized. 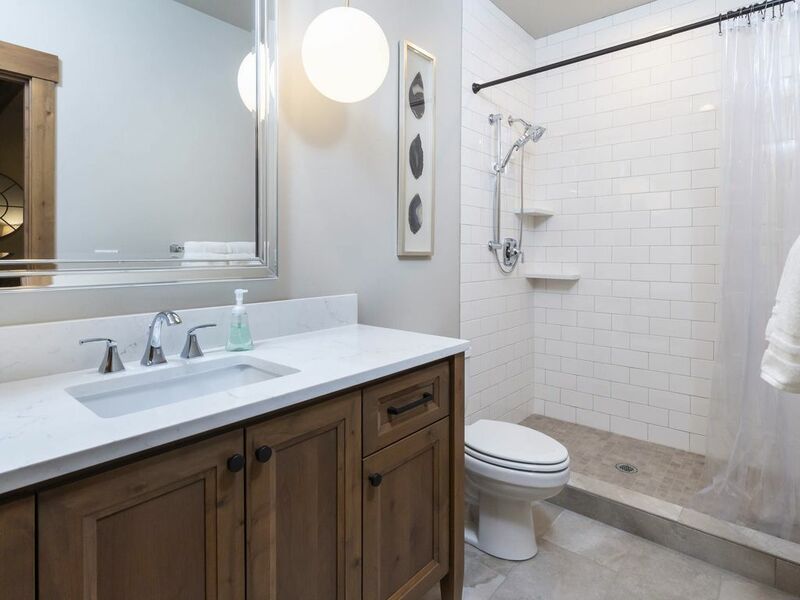 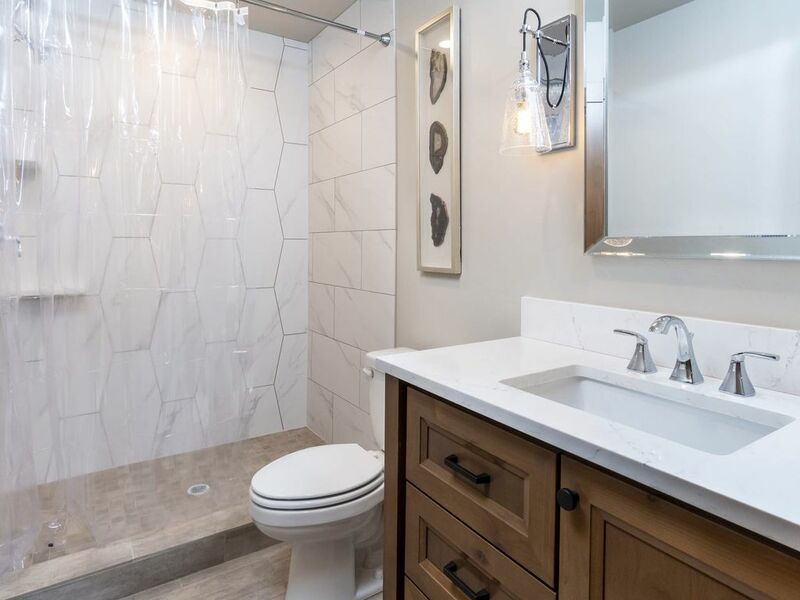 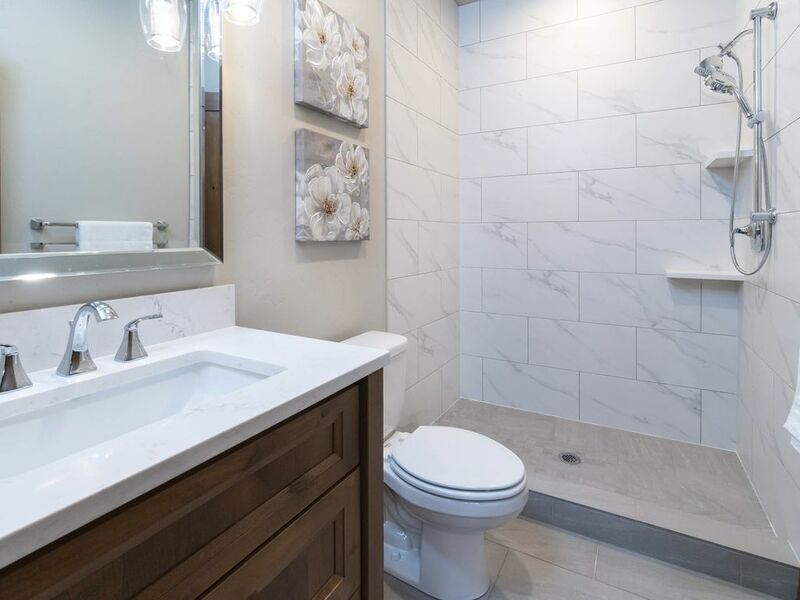 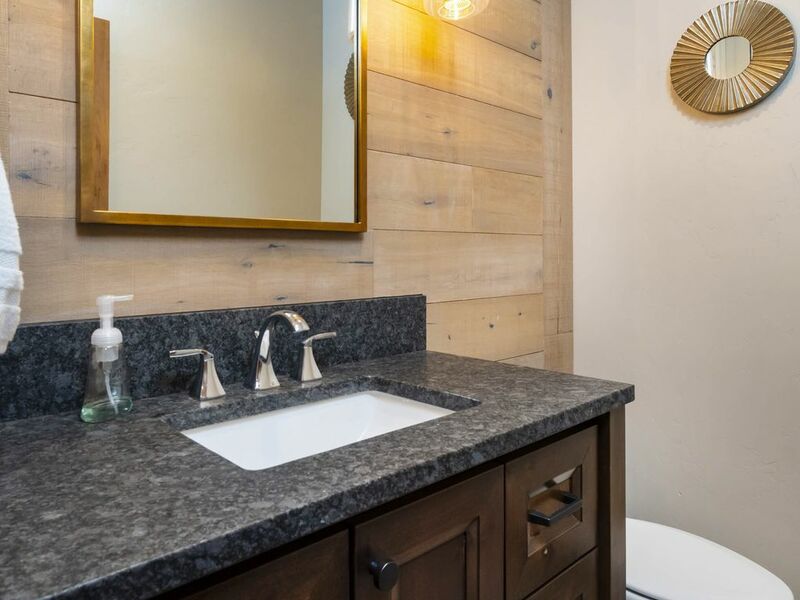 Each room has a private bath with a full sizes tilled showers and granite slab counters. 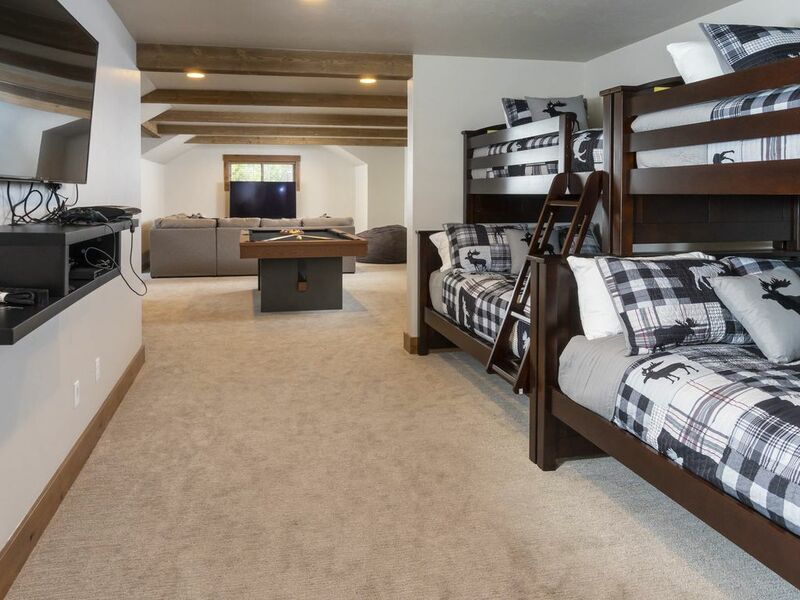 Last but not least is the Bunk/Bonus room. This room is so much fun. It includes 2 twin/full bunks, which can sleep up to 6 people. 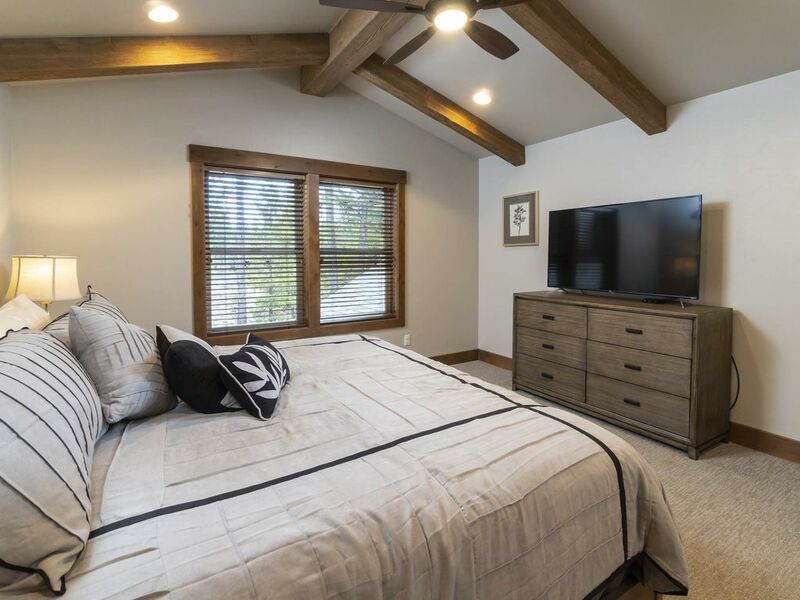 A couch gives you extra sleeping space or a place to sit while watching TV. 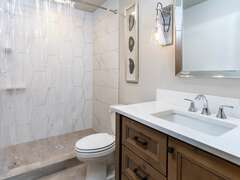 The bonus room has its own private bath room which provides a private locked off toilet/shower area and a separate 2 sink area to make it accessible to a few users at the same time. All rooms have window blinds and large closets for storage. 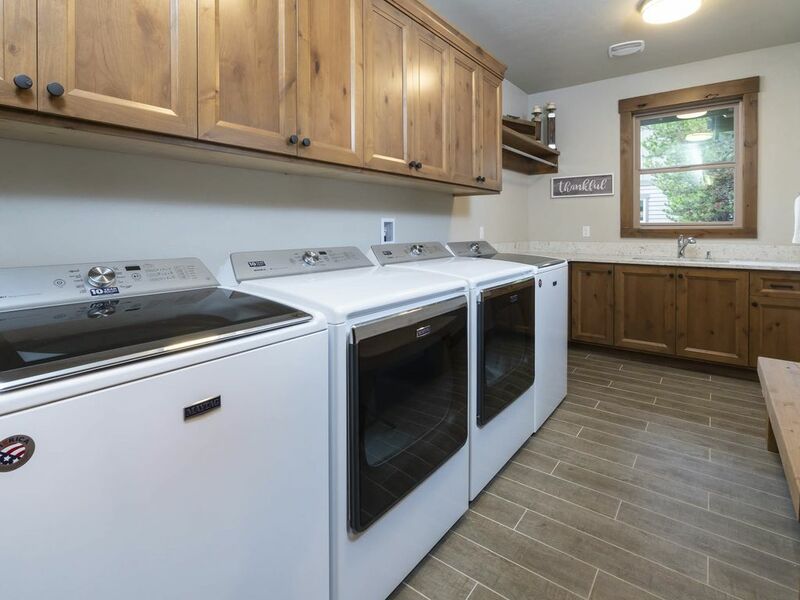 Extra pillows and blankets are available in the all closets, while extra towels are available in the laundry room cabinets above the washers. 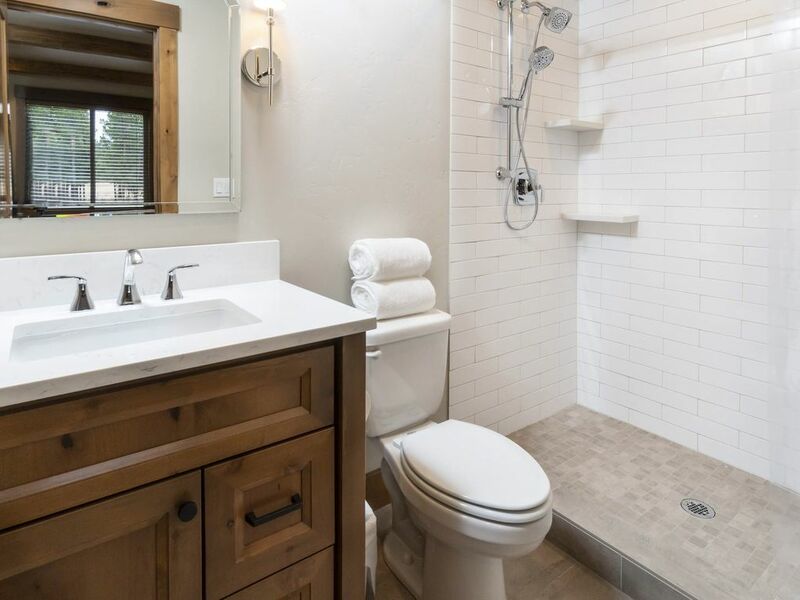 Additional amenities include hairdryers, vacuum, Hot Tub for 7-8 people and large gas BBQ grill. 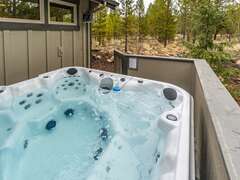 Also six access passes to the Caldera Springs facilities. Caldera Springs provides exclusive use of its facilities to homeowners and guests. 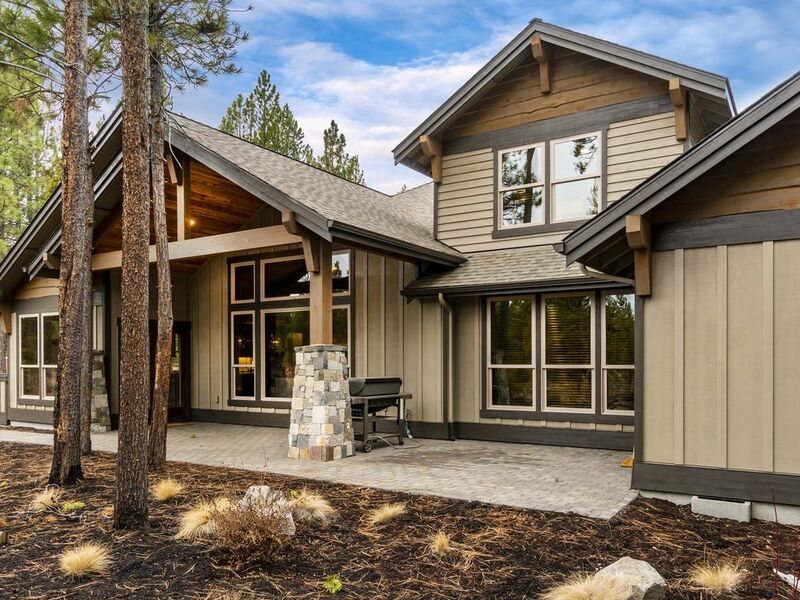 Walking and biking trails wind through the entire community showcasing Calderas natural beauty.